Fireworks burst into brilliant arcs of light overhead, a parade of bellowing trains leave candy in their wake, and the Star-Spangled Banner waves proudly from every homestead. It’s the Fourth of July! To celebrate this occasion, we’ve put together a reading list for the season. Ever wanted to learn more about our founding fathers? How about the unsung men and women who contributed to the Revolution? Whatever your area of interest may be, you’re sure to find an engaging and educational title on this list. Curl up in a nice and cozy spot under the glow of the fireworks, pick up one of these books, and celebrate the birth of America with a great new read! 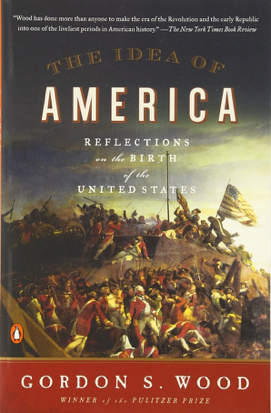 In this landmark work of history, the National Book Award-winning author of American Sphinx explores how a group of greatly gifted but deeply flawed individuals–Hamilton, Burr, Jefferson, Franklin, Washington, Adams, and Madison–confronted the overwhelming challenges before them to set the course for our nation. The United States was more a fragile hope than a reality in 1790. During the decade that followed, the Founding Fathers–re-examined here as Founding Brothers–combined the ideals of the Declaration of Independence with the content of the Constitution to create the practical workings of our government. Through an analysis of six fascinating episodes–Hamilton and Burr’s deadly duel, Washington’s precedent-setting Farewell Address, Adams’ administration and political partnership with his wife, the debate about where to place the capital, Franklin’s attempt to force Congress to confront the issue of slavery and Madison’s attempts to block him, and Jefferson and Adams’ famous correspondence–Founding Brothers brings to life the vital issues and personalities from the most important decade in our nation’s history. 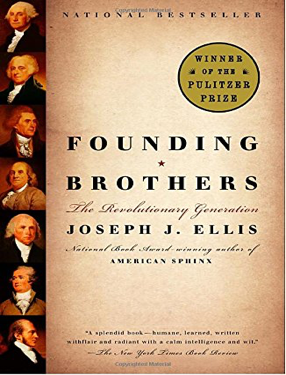 The preeminent historian of the Founding Era reflects on the birth of American nationhood and explains why the American Revolution remains so essential. For Pulitzer Prize-winning historian Gordon S. Wood, the American Revolution is the most important event in our history, bar none. Since American identity is so fluid, we have had to continually return to our nation’s founding to understand who we are. In a series of illuminating essays, he explores the ideological origins of the Revolution—from Ancient Rome to the European Enlightenment—and the founders’ attempts to forge a democracy. He reflects on the origins of American exceptionalism, the radicalism and failed hopes of the founding generation, and the “terrifying gap” between us and the men who created the democratic state we take for granted. This is a profoundly revealing look at the event that forged the United States and its enduring power to define us. 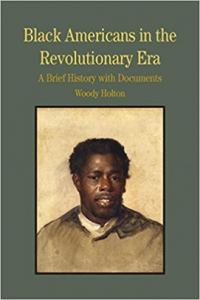 In this fresh look at liberty and freedom in the Revolutionary era from the perspective of black Americans, Woody Holton recounts the experiences of slaves who seized freedom by joining the British as well as those— lave and free—who served in Patriot military forces. Holton’s introduction examines the conditions of black American life on the eve of colonial independence and the ways in which Revolutionary rhetoric about liberty provided African Americans with the language and inspiration for advancing their cause. Despite the rhetoric, however, most black Americans remained enslaved after the Revolution. The introduction outlines ways African Americans influenced the course of the Revolution and continued to be affected by its aftermath. Amplifying these themes are nearly forty documents—including personal narratives, petitions, letters, poems, advertisements, pension applications, and images—that testify to the diverse goals and actions of African Americans during the Revolutionary era. 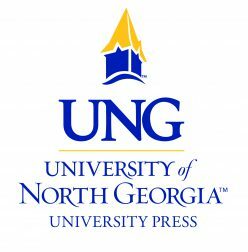 Document headnotes and annotations, a chronology, questions for consideration, a selected bibliography, and index offer additional pedagogical support. The American Revolution was a home-front war that brought scarcity, bloodshed, and danger into the life of every American. In this groundbreaking history, Carol Berkin shows us how women played a vital role throughout the conflict. The women of the Revolution were most active at home, organizing boycotts of British goods, raising funds for the fledgling nation, and managing the family business while struggling to maintain a modicum of normalcy as husbands, brothers and fathers died. 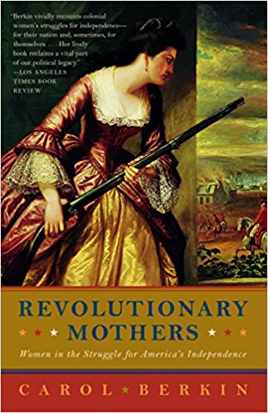 Yet Berkin also reveals that it was not just the men who fought on the front lines, as in the story of Margaret Corbin, who was crippled for life when she took her husband’s place beside a cannon at Fort Monmouth. This incisive and comprehensive history illuminates a fascinating and unknown side of the struggle for American independence. Combining compelling narrative and grand historical sweep, Forgotten Allies offers a vivid account of the Oneida Indians, forgotten heroes of the American Revolution who risked their homeland, their culture, and their lives to join in a war that gave birth to a new nation at the expense of their own. Revealing for the first time the full sacrifice of the Oneidas in securing independence, Forgotten Allies offers poignant insights about Oneida culture and how it changed and adjusted in the wake of nearly two centuries of contact with European-American colonists. It depicts the resolve of an Indian nation that fought alongside the revolutionaries as their valuable allies, only to be erased from America’s collective historical memory. 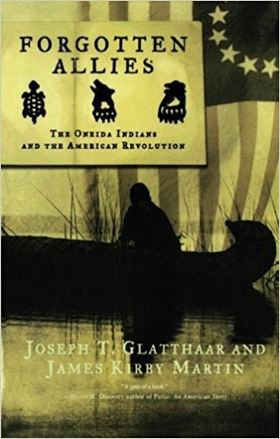 Beautifully written, Forgotten Allies recaptures these lost memories and makes certain that the Oneidas’ incredible story is finally told in its entirety, thereby deepening and enriching our understanding of the American experience.